Networking, like science, requires time, effort and confidence. However, networking, unlike science, rarely earns a place in the curriculum. Despite the importance it plays in the establishment of early career scientists, this vital skill is often overlooked. With this great need failing to be met by academic and research institutions, CCRM Australia has instigated two programs that will help to address this with the next generation of scientists in both academia and industry. CCRM Australia has partnered with the Industry Mentoring Network in STEM (IMNIS) and developed a novel international mentorship program to operate alongside the internationally renowned ‘Summer by Design’ workshop program. The CCRM Australia-IMNIS International Mentoring Program offers PhD students a unique opportunity to be mentored by an internationally-recognised, industry-based scientist working in the regenerative medicine sector. The program’s objectives are to support PhD students in the field of regenerative medicine to engage with high profile industry leaders, to inform students about the regenerative medicine industry itself as well as the potential professional careers and to enhance the professional development and knowledge base of students. Towards this objective, the program supports monthly meetings and enables mentees to attend a relevant regenerative medicine industry event with the assistance of the CCRM Australia-IMNIS International Mentoring travel award. 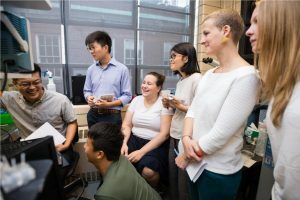 In conjunction, the Summer by Design Program offers graduates and post-doctoral fellows the opportunity to attend a two-week workshop hosted by the Medicine by Design Program at the University of Toronto. The workshop focuses on skill development in the areas of translation and commercialisation of regenerative medicine. At these programs, attendees are introduced to a global network of high-performing trainees who are highly interested in scientific innovation. This is an excellent opportunity to build both industry networks and develop networking skills alongside other driven and like-minded individuals. Having seen the value of past successes for students, CCRM Australia looks forward to contributing to the future of regenerative medicine research and industry, with the hope that more programs will become available over time. 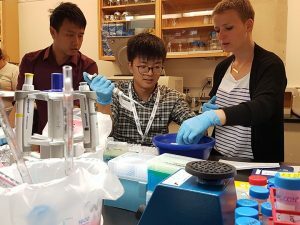 Through accessing these opportunities, students and industry newcomers can enjoy a wealth of benefits, building upon their professional networks and in turn giving back to the scientific community. The recipients of these opportunities will be announced shortly. Follow us on Twitter and LinkedIn to stay up to date. For more information on training programs offered through CCRM Australia, visit our website. For enquiries regarding CCRM Australia training programs, please contact Erick Villaceran, Training Program Coordinator at CCRM Australia via erick.villaceran@monash.edu.